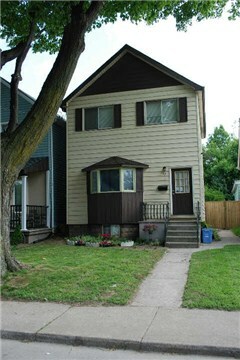 Fantastic Fixer Upper In Prime Hamilton Location!! Could Suit 3 Units, In Law Or Single Family Set Up. High Ceilings, Great Layout. Newer Roof, Furnace, A/C, Plumbing, Windows And Doors. New Laminate Flooring Throughout. 3 Separate Entrance. Rear Drive Holds 3 Cars. Buyer To Verify Legal Use. Rsa.